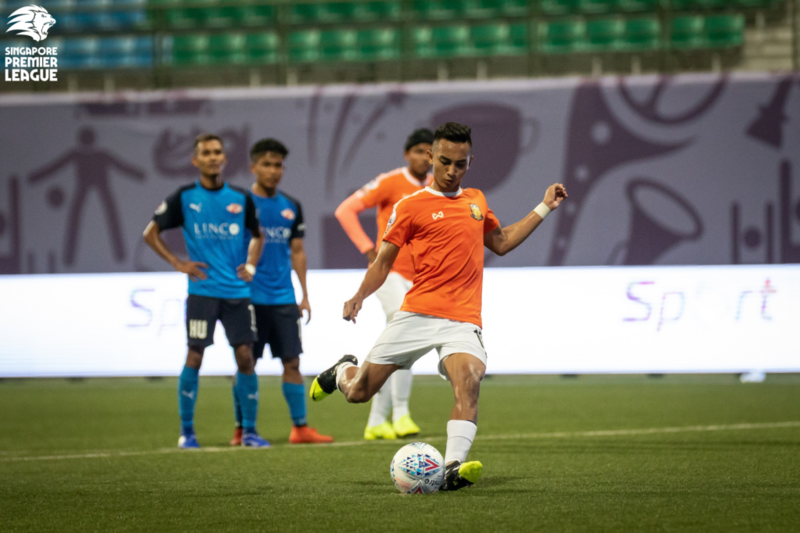 Hougang returned to league action with a win after a bye last week thanks to a late winner from Faris Ramli, who kept his cool from the spot after Nazrul Nazari earned the penalty. They also picked up a second clean sheet thanks to Khairulhin Khalid, who made a superb reflex save with his legs to deny Song Uiyoung at 0-0. 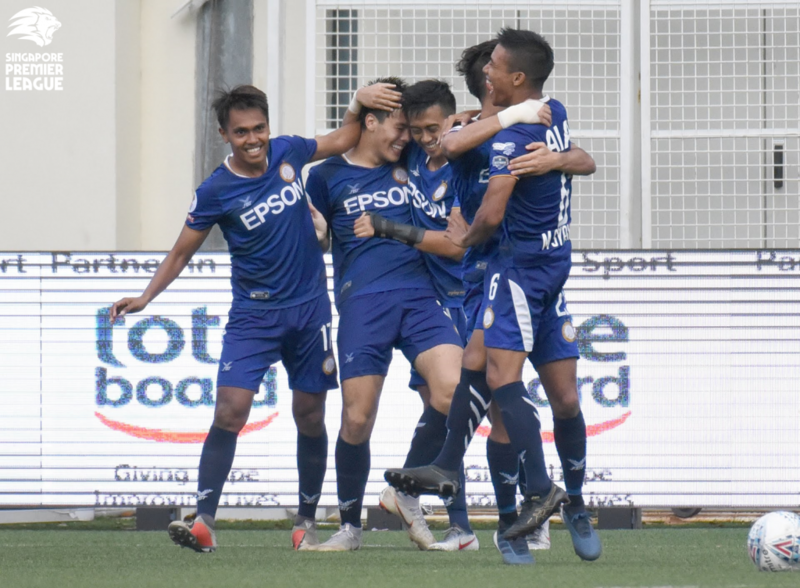 Victory moved Clement Teo’s men to third, one point behind Tampines and four behind DPMM. 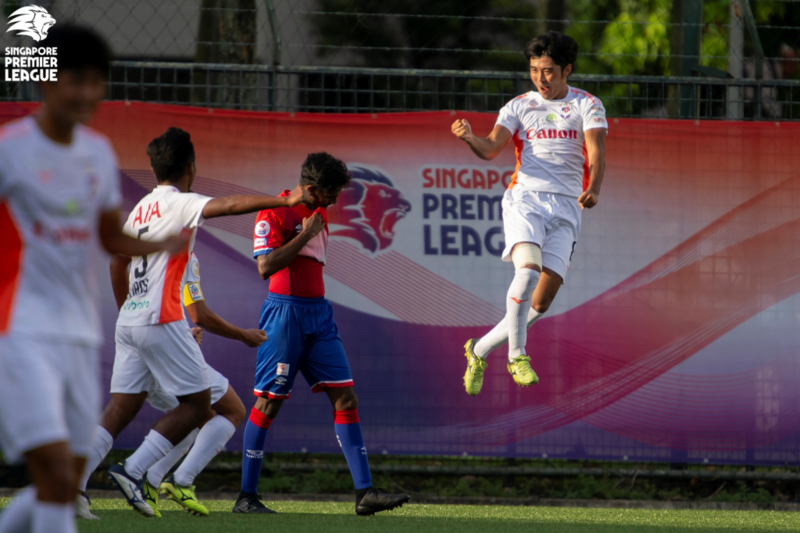 – Hougang ended a run of six games without winning against Home. – Hougang now have two clean sheets this season – as many as they had for the entirety of last season. 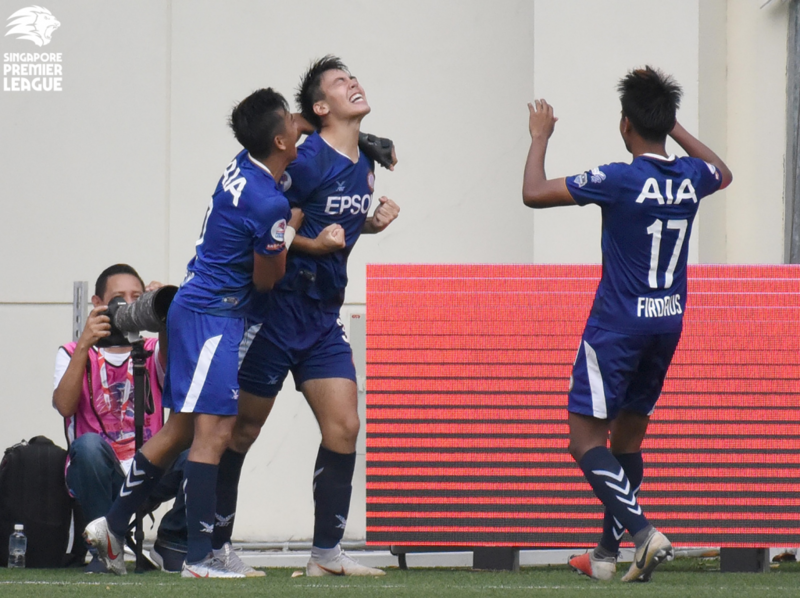 – Hougang have been awarded three penalties, joint-most with Tampines; they have scored all three while Tampines only scored one. Hougang XI: Khairulhin Khalid (GK), Nazrul Nazari, M. Anumanthan, Afiq Yunos, Jordan Vestering, Mahathir Azeman (Fabian Kwok 60’), Zulfahmi Arifin (C)(Hafiz Sujad 71’), Afiq Noor, Amir Zalani (Fazrul Nawaz 70’), Faris Ramli, Stipe Plazibat. Unused subs: Heng How Meng (GK), Shahfiq Ghani, Muhaimin Suhaimi, Timothy Yeo. Home XI: Nazri Sabri (GK), Aqhari Abdullah, Abdil Qaiyyim, Faizal Roslan, Iqram Rifqi (Ho Wai Loon 65’), Izzdin Shafiq (C), Hafiz Nor, Hami Syahin, Adam Swandi, Oliver Puflett (Amiruldin Asraf 70’), Song Uiyoung. Unused subs: Haikal Hasnol (GK), Nur Hizami, Arshad Shamim, Suhairi Sabri. 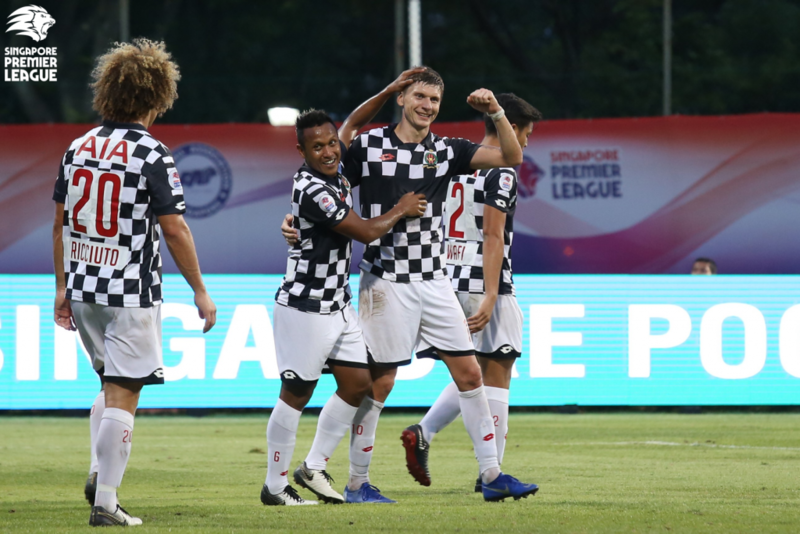 Adrian Pennock’s charges blitzed Balestier to record the biggest win this season so far thanks to a stunning five-goal show from Andrei Varankou. The Bruneians took full advantage of Zaiful Nizam’s absence in the Tigers goal and broke the deadlock when Varankou headed in Helmi Zambin’s pin-point cross. Blake Ricciuto then produced an early contender for Goal of the Season as he collected a back-heel and unleashed a thunderbolt into the top left corner from 35 yards. The Australian made it three after capitalising on a poor pass, before Varankov took over. The Belarussian tapped in Azizi Rahman’s cross and then headed in another delivery from Helmi, before winning a penalty that he converted. Substitute Sanjin Vrebac grabbed a consolation but Varankov still had time to complete a hat-trick of headers as DPMM went top in style. – Varankov is the third player to score five goals in one league match since 2004, after Tsubasa Sano and Egmar Goncalves. – Varankov scored the first perfect hat-trick of the season. – DPMM extended their club-record unbeaten streak to 12 games. – DPMM have scored six headed goals, one less than the rest of the teams combined. Balestier XI: Zacharial Leong (GK), Fadli Kamis, Nurullah Hussein (Khalili Khalif 46’), Sufianto Salleh, Ahmad Syahir, Hazzuwan Halim, Illyas Lee, Fariz Faizal, Raihan Rahman (C), Daniel Goh (Sameer Alassane 71’), Akbar Shah (Sanjin Vrebac 59’). Unused subs: Faris Danial (GK), Goh Yi Qi, Ahmad Zaki, Fazli Shafie. DPMM XI: Wardun Yussof (GK)(C), Wafi Aminuddin, Abdul Mu’iz Sisa, Charlie Clough, Azwan Ali (Azwan Saleh 73’), Abdul Azizi Rahman (Razimee Ramlli 62’), Andrei Varankou, Helmi Zambin, Blake Ricciuto, Nurikhwan Othman, Shah Razen Said (Hendra Azam 69’). Unused subs: Haimie Nyaring (GK), Awangku Fakharrazi, Najib Tarif, Azim Izamuddin. Defending champions continued their recovery with a second consecutive win against bottom side Warriors, whose miserable run continued. Daizo Horikoshi tapped in Sota Sugiyama’s cross and while Jonathan Behe restored parity by heading in Ignatius Ang’s free-kick, the White Swans had the last laugh thanks to Hiroyoshi Kamata’s sweet volley. Fashah Iskandar pulled off a good save to deny Kyoga Nakamura from the spot, but his team could not find a second equaliser. – Albirex have now won all of their last seven encounters against Warriors. – Warriors have now lost eight straight games in all competitions, including a club-record seven league matches. – Ignatius Ang recorded his second assist in as many games. – Warriors became the second team to use three different goalkeepers this season after Hougang. Warriors XI: Fashah Iskandar (GK), Kento Fukuda (C), Ammirul Emmran (Sahil Suhaimi 61’), Jonathan Behe, Ignatius Ang, Fadhil Noh, Ryhan Stewart (Tajeli Salamat 46’), Fairoz Hasan, R Aaravin (Delwinder Singh 49’), Shameer Aziq, Faizal Raffi. Unused subs: Riki Kimura (GK), Khairul Nizam, Ifat Sha’ban, Suria Prakash. Albirex XI: Kengo Fukudome (GK), Shuhei Sasahara, Naruki Takahashi, Firas Irwan (Daichi Tanabe 46’), Shoki Ohara, Kaishu Yamazaki, Daizo Horikoshi, Hiroyoshi Kamata, Kyoga Nakamura, Sota Sugiyama (Kodai Sumikawa 90’+3), Daniel Martens (Yoshikatsu Hiraga 65’). Unused subs: Hyrulnizam Juma’at (GK), Shunsuke Fukuda, Zamani Zamri. There was also a second consecutive league win for Geylang, who edged the Young Lions in a close contest thanks to Zikos Chua’s historic strike. The striker, who is of Greek descent, showed great composure to beat a defender and slot into an empty net after pouncing on a goalkeeping error. It was a deserved lead for the visitors, who had forced Kenji Rusydi into a couple of smart stops but they could also count their lucky stars when Haiqal Pashia somehow scooped over from six yards. – At 16 years and 364 days, Zikos became the third youngest scorer in league history after Hariss Harun (16y 174d) and Fareez Farhan (16y 331d). – He is also the youngest ever scorer in Geylang’s history and the youngest ever player to score a match-winning goal in the league. – Young Lions have now failed to win any of their last 12 games against Geylang. – Geylang have won two consecutive games for the first time since May 2018. Young Lions XI: Kenji Rusydi (GK), Jacob Mahler, Zulqarnaen Suzliman, Haiqal Pashia, Syahrul Sazali, Rezza Rezky (Danial Syafiq 55’), Syed Firdaus Hassan, Naqiuddin Eunos, Nur Luqman Rahman (Syahadat Masnawi 76’), Lionel Tan (C), Gareth Low (Asraf Zahid 66’). Unused subs: Adib Hakim (GK), Prakash Raj, Nur Adam Abdullah, Syed Akmal. Geylang XI: Hairul Syirhan (GK), Anders Aplin, Darren Teh, Syahiran Miswan, Amy Recha (Corey Warren 90’+2), Barry Maguire, Danish Irfan, Firdaus Kasman, Yuki Ichikawa (C), Christopher van Huizen, Zikos Chua (Fareez Farhan 67’). Unused subs: Zainol Gulam (GK), Jufri Taha, Muhd Noor Ariff, Umar Akhbar, Ifwat Ismail.